The No.1 Manufacturer of highly efficient heating system! 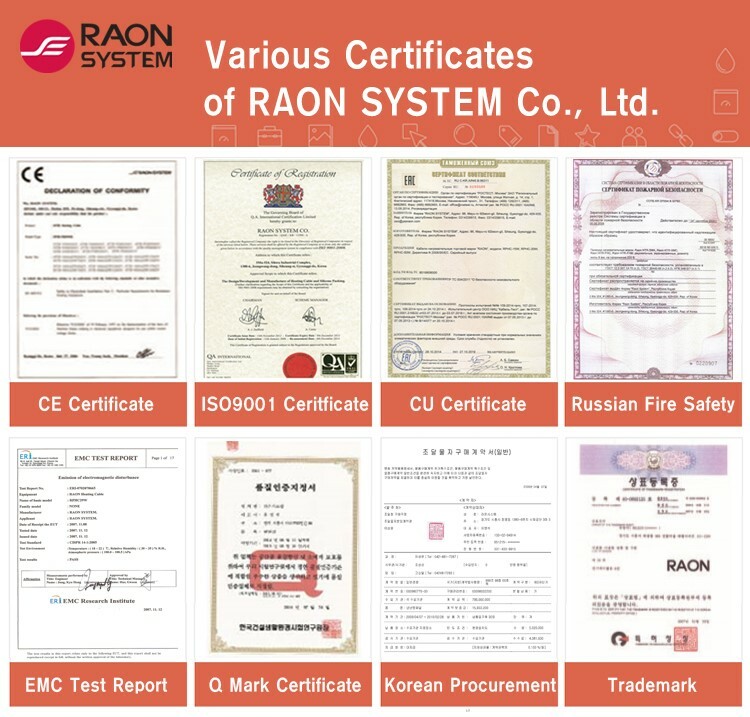 Our company – Raon System Corporation – was established in 1998 as a specialized manufacturer of electric heating products. 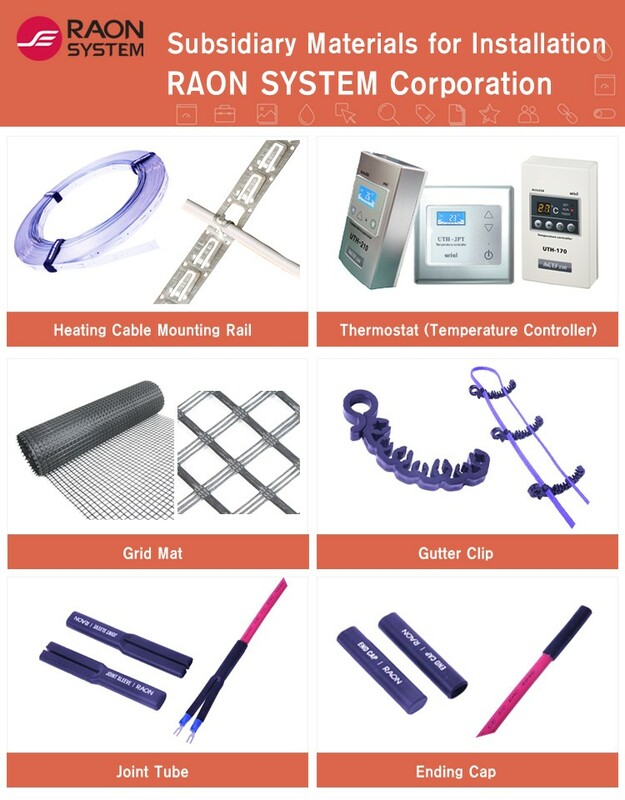 Our company – Raon System Corporation – is the leading company which has the best technique based on the accumulated long production experience and continuous R & D.
Our heating cable is easy and quick to install. As well as it realizes rapid and even heating effect and is the eco-friendly product without electromagnetic waves. Moreover, we always uses highest quality raw materials for production, so it has long product span and safe. 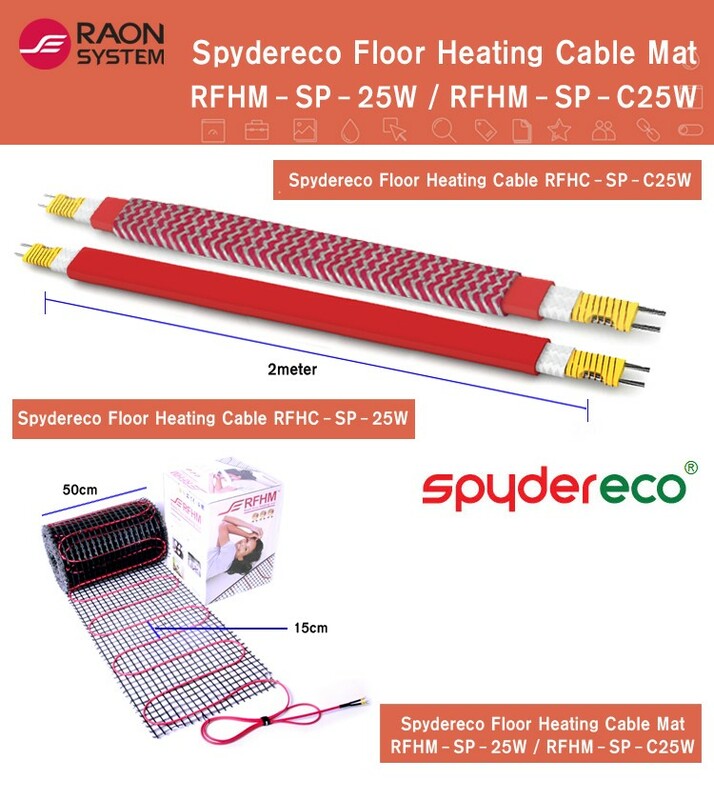 Furthermore, we developed constant-temperature heating cable “Spydereco” which is possible to compose the circuit through cutting following the installation space shape for the first in the world. It overcomes the weakness of usual constant-temperature heating cable which is not possible to cut. Raon means “fun” in pure Korean word, which expresses our desire to make the world where everyone lives a pleasant life. We will continuously strive to lead the development of safer and more convenient products with differentiated technology. 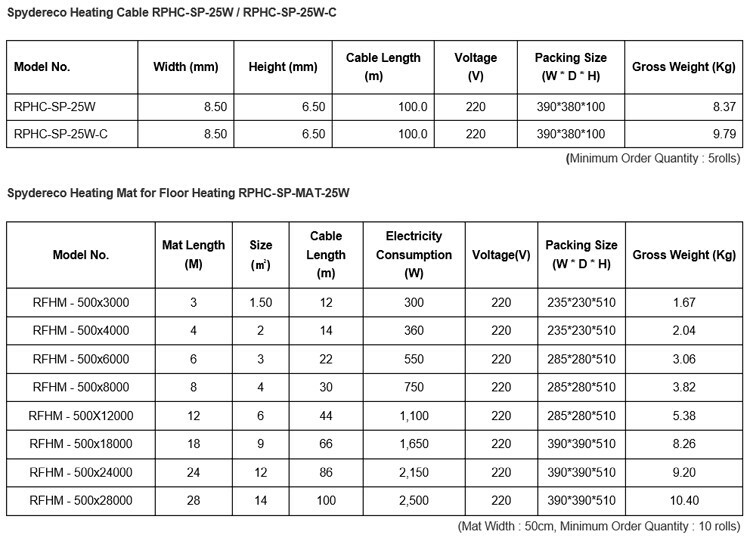 Are you interested in electric heating cables? Please consult with our Raon System Corporation. Raon System Corporation will become the most stable and reliable business partner to you. Heating Cables of Raon Sysem Corporation are an eco-friendly products which are harmless to human body through devising electromagnetic wave shielding structure. 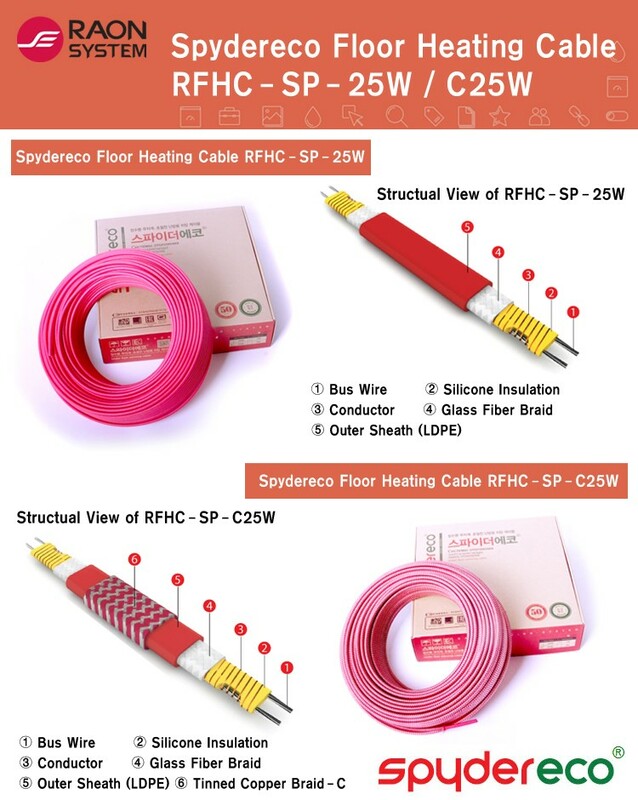 Heating Cables of Raon Sysem Corporation use insulation jacket of superior materials like PTFE fluorine resin and have been drastically enforced insulation and physical strength of products through using 2~3 outer jackets. 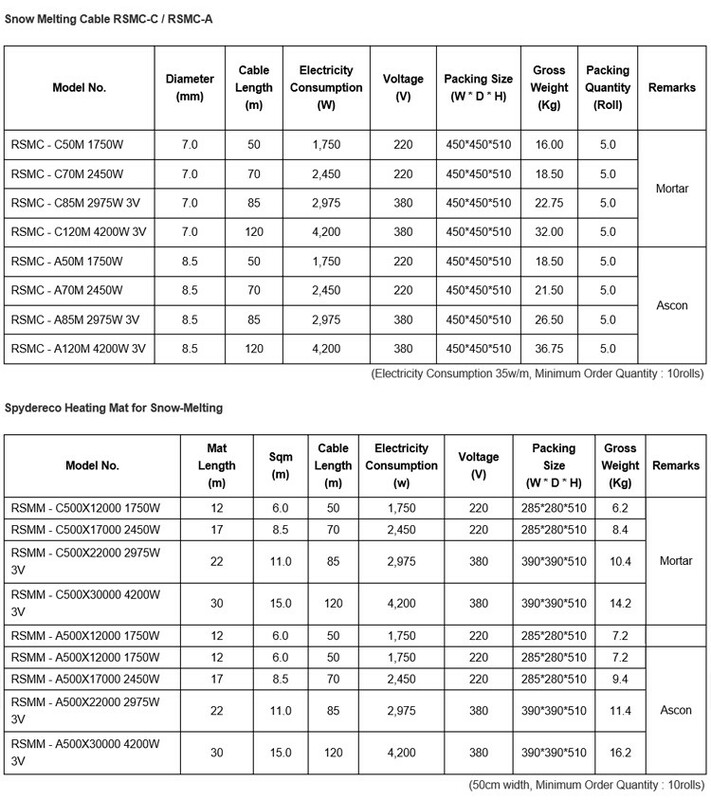 Heating Cables of Raon Sysem Corporation enlarge the life span by increasing the length of heating element per meter to 2 ~ 3 times and minimizing the overheating stress. Heating Cables of Raon Sysem Corporation materialize the healthy heating system without noise, combustion fragrance or dust. Snow-Melting Heating Cables of Raon Sysem Corporation help safe driving and walking in winter. Moreover it doesn’t cause damage of buildings by chemicals of snow removal. 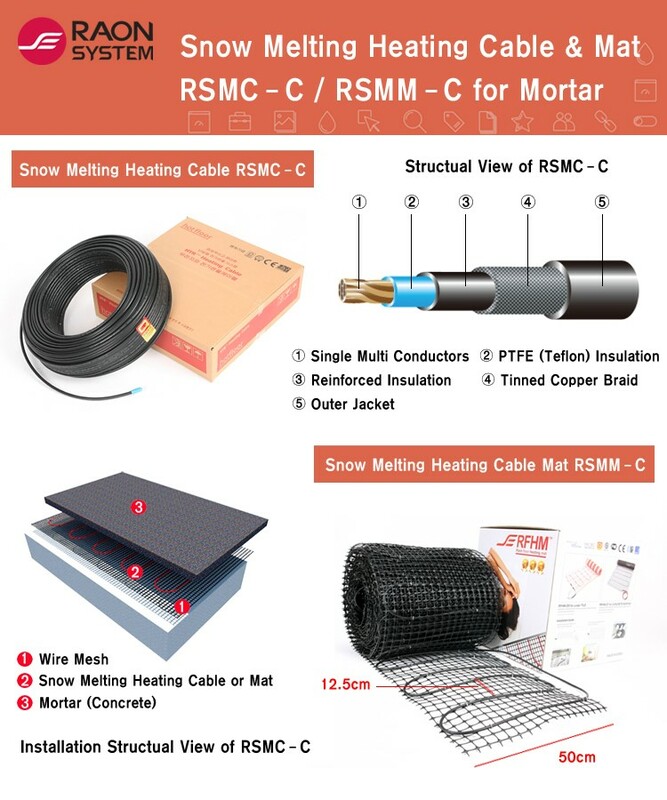 Snow-Melting Heating Cables of Raon Sysem Corporation are suitable for installation without any restrictions following surface covering materials. 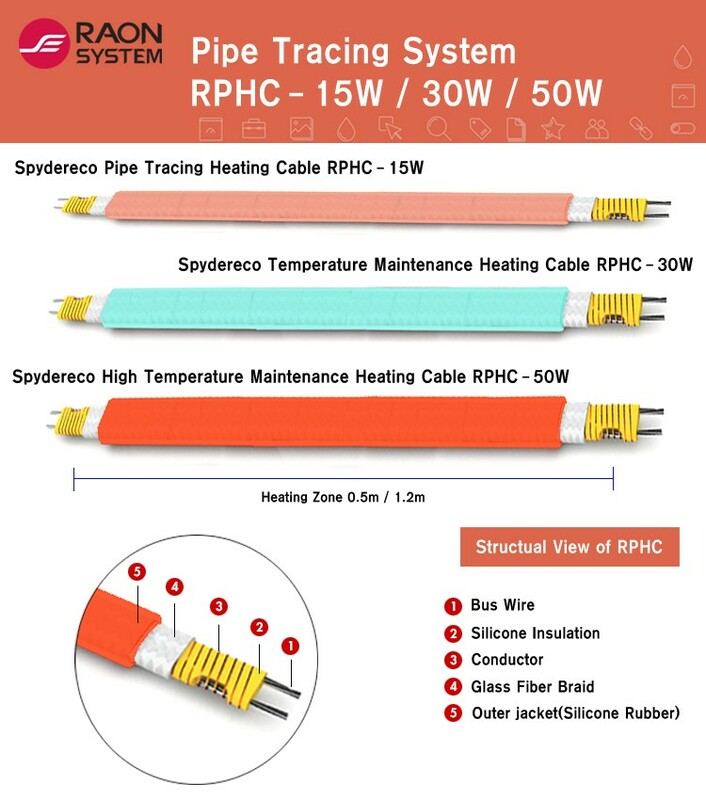 Spydereco Heating Cables of Raon Sysem Corporation are simple to install and is possible to cut in accordance with installation area because of its parallel circuit structure. We are able to produce OEM products and its minimum order quantity is 5,000 meters per order. Possible to print the Buyers Brand. 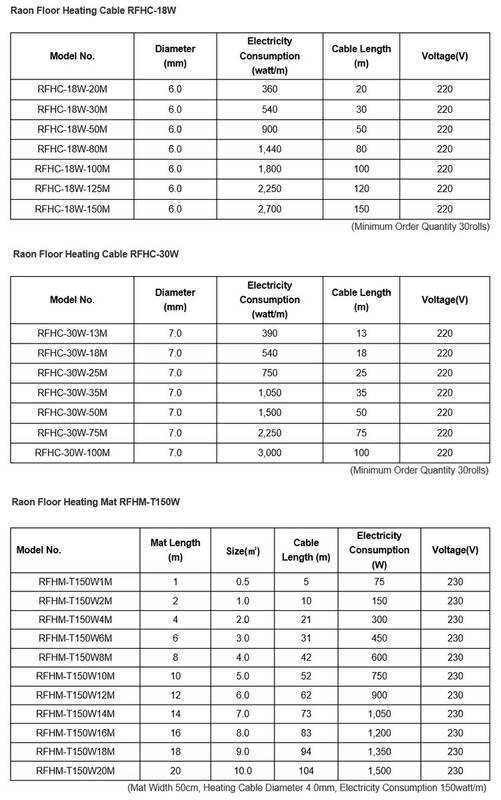 Possible to make heating cable for special electric voltage (AC 380voltage ~ 450voltage) and for D.C. (12 voltage, 24voltage and 48voltage), etc. 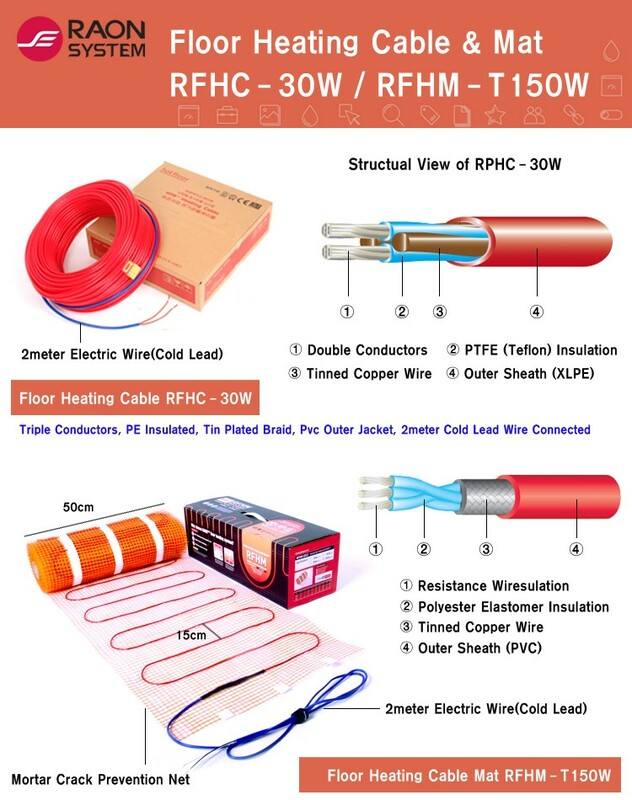 This entry was posted in Other Wires Cables Cable Assemblies and tagged Heat Tracing Cable, Heating Wire, High Quality Heating Cable, Raon System Spydereco Automatic Sensor Pipe Freezing Protection (heat Tracing) Heating Cable Rwph-15w.